Messaging: How does messaging work? 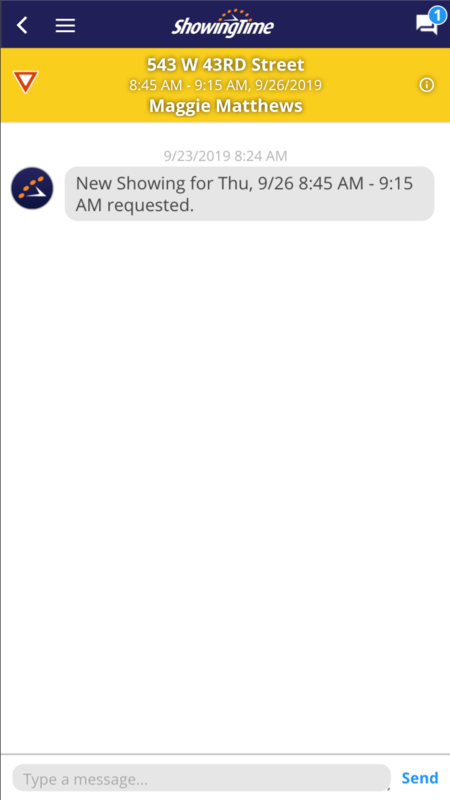 ShowingTime will only allow certain communication avenues through the ShowingTime messaging service. Below is an outline of what communications are and what communications aren't allowed. i.e. When an appointment has been confirmed, or when feedback has been received. i.e. Agent is running 15 minutes late. The Listing agent can reschedule or cancel the appointment. 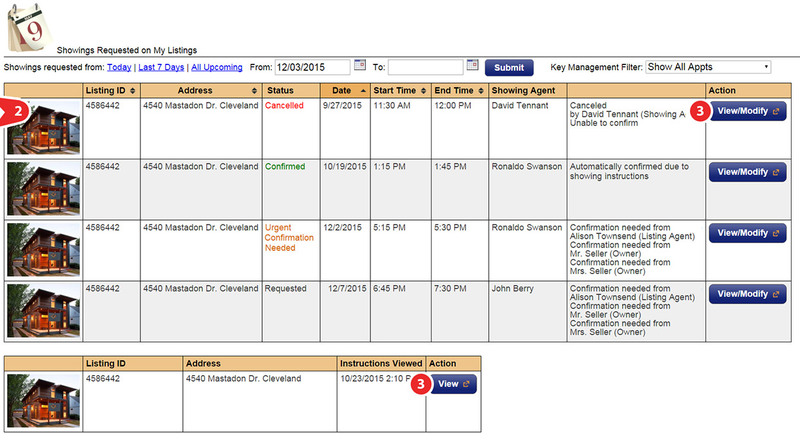 The Showing agent can identify if they are running late, when they have arrived or if they are early. The Seller can propose a new time or indicate that they are running late or early. Communication is handled on a per appointment basis. To start a conversation or to reply to a sent message you will need to follow the steps below. From the home screen under the Showings section tap on On My Listings or I Have Requested. 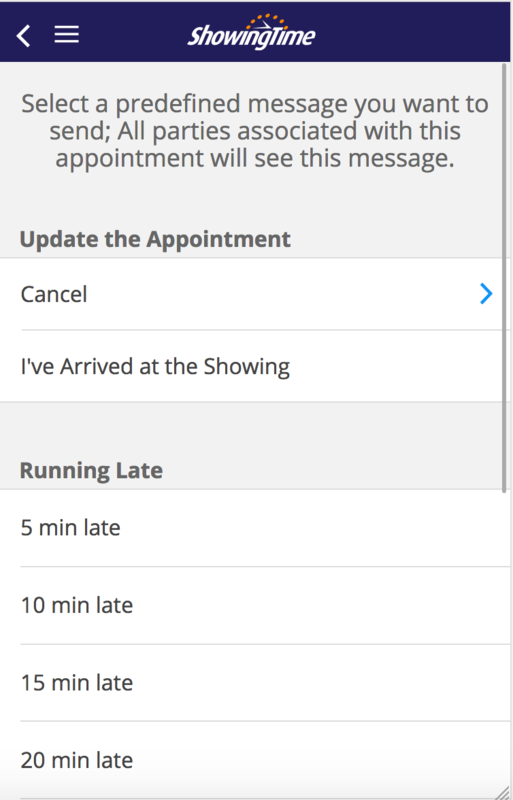 Tap on the appointment that you want to send a message to an appointment contact on. a. 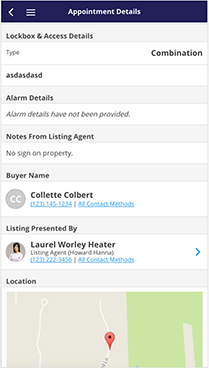 You can either tap on the buyer or listing contacts. b. Or you may choose the Agent. 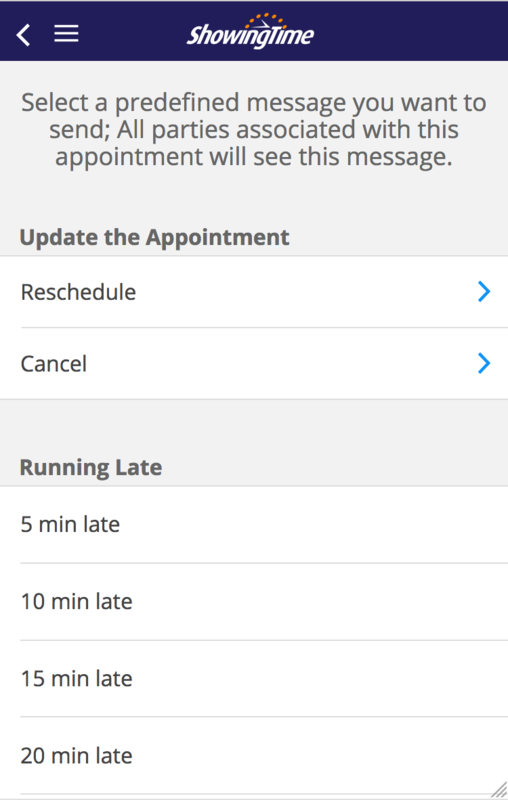 You will see a messaging screen with options to Reschedule or Cancel the appointment. You will also see options to send predefined notes under the more option. You can now message the contact. 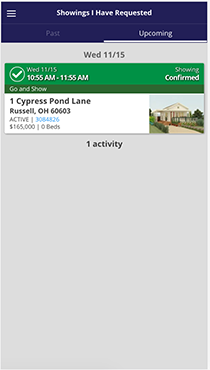 Start by selecting Showings from the side menu. Then select either On My Listings or I Have Requested from the sub-menu. 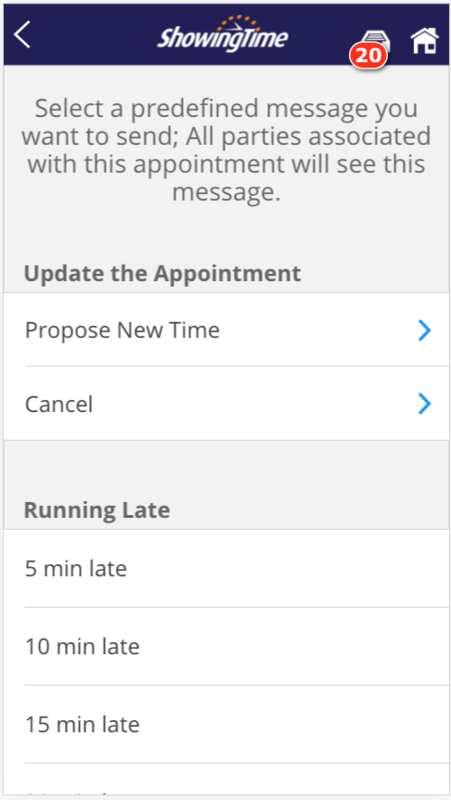 Open the appointment details window, for the appointment in which you want to send a contact a message, by selecting either View/Modify or View. 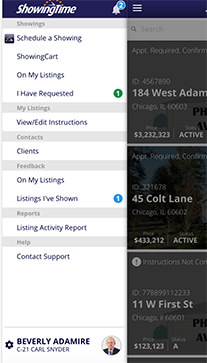 Click on the Send Message button next to the Showing Agent or any of the Listing Contacts. 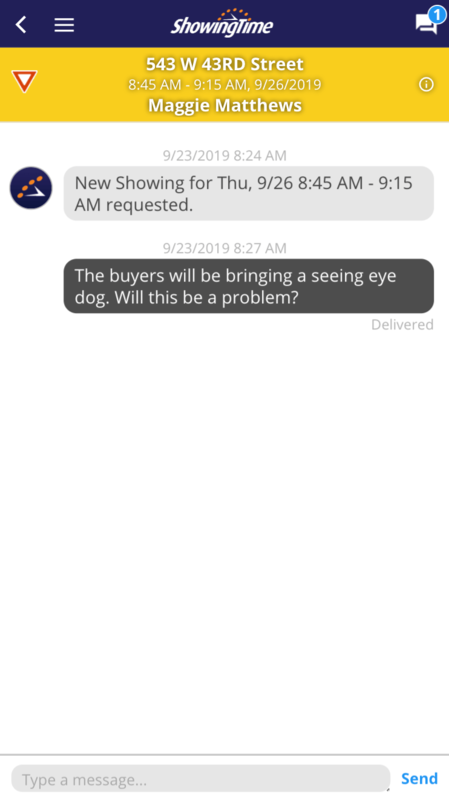 You can now message the contact what feel fit.